Today I'm over at the Stacked Books blog sharing my picks for their "So you want to read YA?" series. Thanks, Kelly, for giving me the chance to rave about some of my favourite young adult books! Some of them you may have already heard about and/or read but there are way too many cool YA books out there that don't get the hype they deserve. 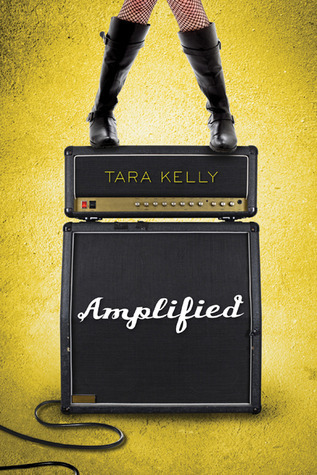 Speaking of hype, I also want to point people toward author Tara Kelly's recent blog post on an Amplified Sequel. I'm a big fan of Tara's books and in this entry she makes excellent points that some readers may not be aware of, like how tough it can be for quiet/midlist-ish authors to get a publishing deal for their next novel and how important that makes it that readers are loud about the books they like. So if you love a book, particularly if it's one that's not raking in the cash, not one that you see mentioned one every second book blog or not one that's attracting Hollywood option offers, go public with your fondness for it.